Please complete the form below, submit it, and we'll send you the kits you requested. Safety Recall of MALM Chests and Dressers. Act now to make sure your home is safe. Click here for options. 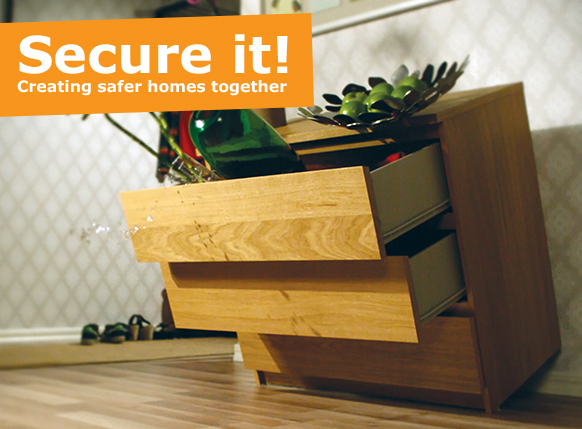 When we all work together, we can reduce the risk of home accidents. Please complete the registration form on the right to receive the hardware kit for your IKEA chests and dressers. The hardware for these kits are for IKEA chest and dressers only, and not other IKEA products. To order the correct hardware, please review the distinctions below to ensure you request the correct safety kit. If you have purchased your chest of drawers after June 28, 2016, please order your spare parts by contacting customer service. Contact customer service by clicking here. 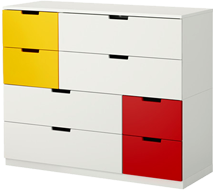 The hardware safety kits are for IKEA chest and dressers only, and not other IKEA products. Which type of chest/dresser did you purchase and how many? To ensure prompt delivery, please verify information before submitting. 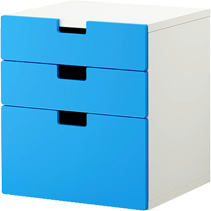 If you own an IKEA children’s chest/dresser taller than 23.5" and/or an adult chest/dresser taller than 29.5", other than those listed under R2 below, then you will need Kit R1. 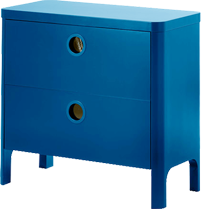 If you own a STOCKHOLM, BUSUNGE, NORDLI chest, or STUVA series (25" or 50" height frames), you will need Kit R2. Refer to the images below to help determine which product(s) you own.